What's not to love about seed saving? - Food for free and plants that are adapted to your own particular micro-climate and soil. Seed saving was the topic of our last Permaculture Group meetup, and here are some of the things we discussed. Save only seed from the best plants - this way your seeds will improve over time. Throwout seeds that don't look right and seedlings that don't appear to be growing the way you expect them too - an accelerated form of natural selection. Runner Beans - Leave a few pods on the vines till they go brown. Take them out of their shells and dry them for a few days, then put them somewhere dry and cool till next year. A few seeds go a long way. Lettuce - Let the plant bolt. Flowers will be produced at the end of long spikes from the centre of the lettuce and these will produce masses of seed by late summer. Remember to select the plants that bolt late otherwise you may breed an early-bolting variety! Parsnips - These require a second year in the ground to produce seed. Select 3-4 good specimens and replant them straight away. The next year they will produce long stalks like cow parsley, with flowers that the insects love. They also produce masses of seed. Tomatoes - Put seeds and pulp into a jar and let them ferment for 3 days. The viable seeds float. Wash them a few time, then dry them before storing them for next year. Some plants are more fiddly than others. There are quite a few that are easily cross-pollinated with other varieties (carrots with Queen Anne's Lace, and broad beans with field beans) sorequire more care. 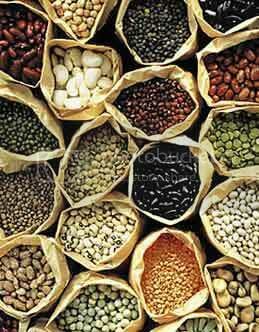 Others need quite a few of its kind to keep sufficient genetic diversity so need more space set aside for seed saving. The Real Seed Company - www.realseeds.co.uk/seedsavinginfo.html has good instruction on seed saving, particularly the downloadable leaflet on seed saving, which has specific instructions for many typesof vegetables. Sue Strickland's book Back Garden Seed Saving is also highly recommended. We are planning a seed swap at the Marlborough market in March. Details will be posted on the web site in due course.